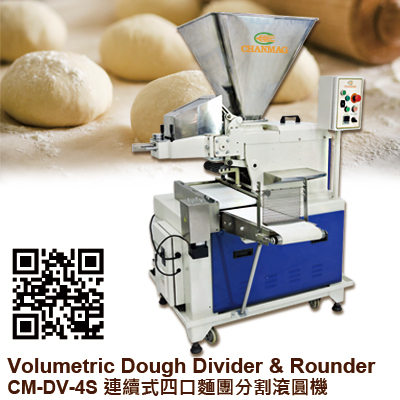 CHANMAG CM-DV-4S Volumetric Dough Divider with Rounder is a volumetric divider suitable for fine & dense dough structures. 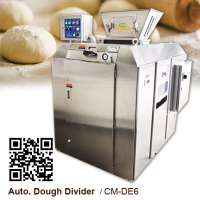 This dough divider utilizes a piston based system that divides dough into a predetermined weight range. This helps ensure a more accurate weight range of the portioned dough. 1.Precise design manufacturing, strong body with steel material. 2.The weight of each dividing is very accurate. 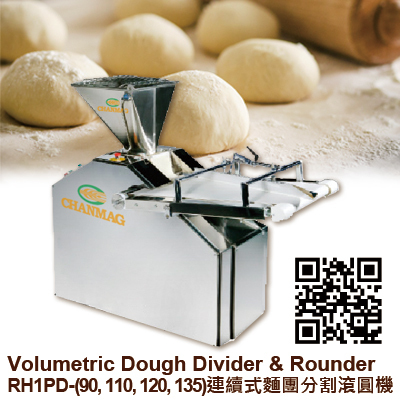 3.Suitable for continuous dividing at sticky dough of bread and toast. 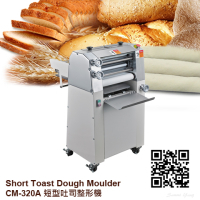 4.Can be combined with toast production line as main equipment unit. 5.It can save the labors cost and operation is easy. Also it can save money and increase the efficiency. 6.Meet wide range of dough weight. 8.With special oil lubricating system to meet the characters of Eastern sticky dough. 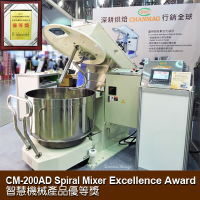 9.Easy to operate for the demands of Eastern dough style which with high percentage of water, margarine, and sugar.